﻿Tipofino is a project created by Rosa Martín and myself. A personal retail store of typographic things, printed with different techniques on paper and textiles. The idea behind the logotype is to reflect the craft aspect of our brand and products, and our care and love for typography and lettering, shown through the personality and expression given to single letters or words. 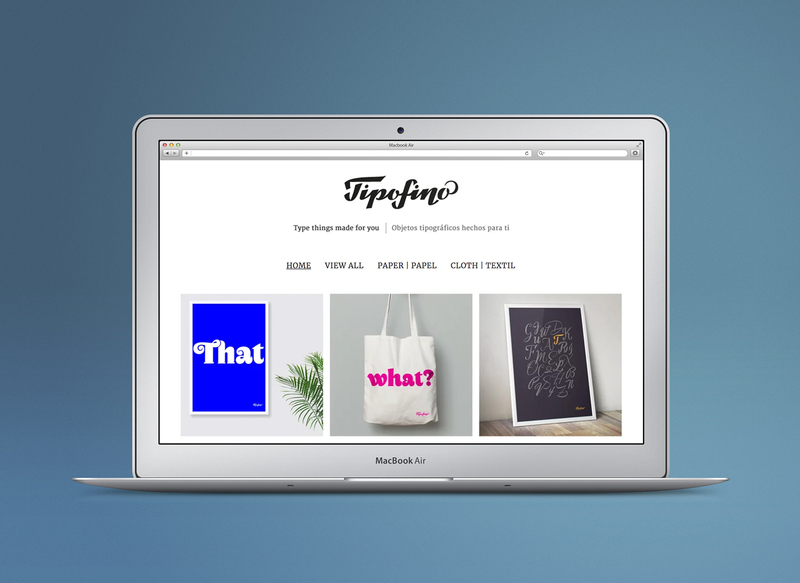 Tipofino is a project created by Rosa Martín and myself. A personal retail store of typographic things, printed with different techniques on paper and textiles. The idea behind the logotype is to reflect the craft aspect of our brand and products, and our care and love for typography and lettering, shown through the personality and expression given to single letters or words. 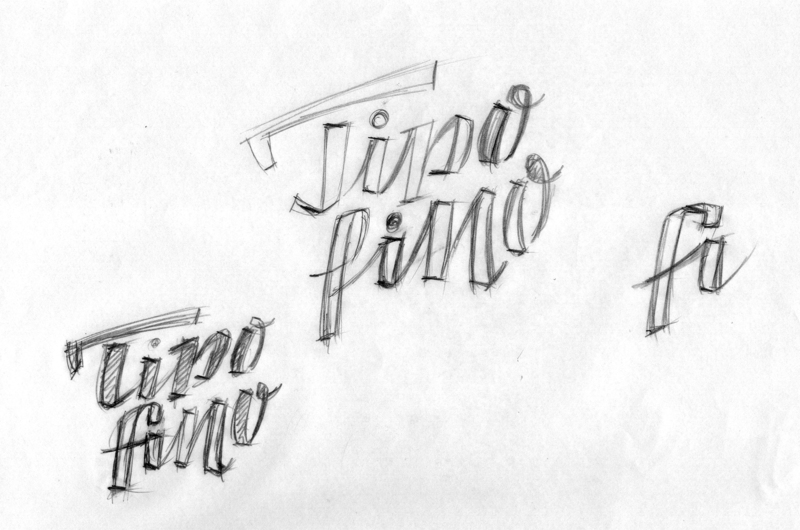 My first sketches were done by pencil, drawing a pointed pen-style calligraphic logo by contour, without the pen. In a first digital estate the logotype was drawn in one line, later in two, and then in one line again, obtaining the two final versions of the logotype.